Many people will tell you that it’s easy to start a business. We don’t agree. In our experience, there’s a lot you need to know and so many steps you have to take that it can feel overwhelming at times. However, you can learn how to do it and you can avoid the mistakes made by people who leap into action with nothing more than ‘vision’ and crossed fingers. Step-by-step – each lesson in the course is clearly written and easy to follow. We explain everything you need to know to be able to complete the accompanying worksheets with confidence. Downloadable worksheets with clear instructions and ideas about how to complete and make the most of each sheet. Audio narration – if you don’t have the time (or the inclination!) to read the text, you’ll love the audio narration feature. Free workbook – buy today and receive your free copy of the Planning and Starting Your Business workbook. It’s the perfect companion to the course. Videos – all the worksheets have accompanying videos that explain how to complete the worksheet and why it’s important to understand the topic. Together, the clearly written text, full audio narration, colourful explanatory videos and downloadable Microsoft worksheets all walk you painlessly through the course. By the end of the course, you will have a created a business plan and action plan that you can feel confident about and ready to take action. What’s more, you’ll actually understand your plans and know where to start and why. Once you have completed the course, you are invited to become part of the Planning and Starting Your Business private membership group. 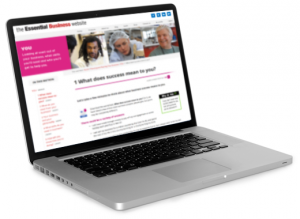 We will then provide you with new and extra resources to help you, as you build and grow your new business. We won’t leave you stranded. On top of the worksheets, videos and audio narration, we will contact you at various points during your course to invite you to tell us exactly what sort of business you are planning to start, and where in the UK you plan to have as the ‘home base’ for your new business. That will enable us to send you more specific information about your business sector and tell you what business support is available in your part of the country. All as part of the course fee. 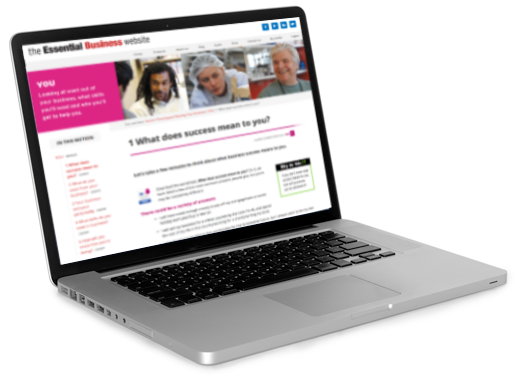 The Planning and Starting Your Business online course costs £95 including VAT (you can even claim back that VAT from HMRC if you register your new business for VAT). It also comes with 100% money-back guarantee. When you first log in to the course, you have 24 hours to decide whether it’s right for you and your circumstances. If it isn’t, just let us know and we’ll refund your money. No question. We want you to be completely happy with your purchase. If you’re not, we won’t be either. Don’t forget, the course includes a free printed copy of the Planning and Starting Your Business workbook, worth £32.95. After your 24-hour review time is over and we know that you’re happy to proceed with the course, we’ll be in touch with you by email asking for your postal address. Then we’ll send out your workbook by courier, with our compliments. So, are you ready to get started on that new business?